The list of sponsors is under development. If you are interested in sponsoring the event or just one garden, please contact the garden tour. Our thanks to the following sponsors for making the Secret Gardens of Lake Forest Park Garden Tour and Market possible. Four community nonprofits collaborate to bring the Garden Tour together. Since 2002, these four organizations have dedicated time and resources each year to present the Garden Tour to our community. Third Place Commons is vibrant, safe, welcoming space open to everyone that hosts over 900 free events each year, including the Lake Forest Park Farmers Market from May to October. Facilitating free public events in the Commons. Sponsoring the local farmers market. Partnering with civic, arts, and social service entities to help maximize their impact. The goals of the club are to study plants; develop home gardens; aid in protection of native plants and birds; and promote friendships among our members. The mission of the Lake Forest Park Garden Club is to serve our community through various activities. By working with other organizations we hope to contribute and improve the quality of life in Lake Forest Park. 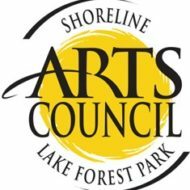 The Shoreline-Lake Forest Park Arts Council values the arts as basic to the human spirit, as creative connections to a diverse world, and as a measure of civilization. The vision of the Council is that the arts will be a valued and integral part of the Shoreline/Lake Forest Park community thus ensuring a high quality of life for all residents and the community as a whole. Our mission is to cultivate creativity and inspire our community through the arts. The mission is to contribute to the well-being of our community by fostering awareness, understanding, appreciation, and stewardship of our natural environment; and by preserving and enhancing parks and open spaces.